Recently, two cases concerning the constitutional rights of people in prison came to public light. They involve two U.S. political prisoners: Mumia Abu-Jamal who is serving a life sentence at a facility in Frackville, Pennsylvania and Jeremy Hammond, who is serving a ten year sentence at a federal prison in Manchester, Kentucky. On Monday October 20, it was reported that Hammond, a young Chicago based computer programmer, had been held in solitary confinement for the last 10 days. In November 2013, he was sentenced after he plead guilty for violating the Computer Fraud and Abuse Act for allegedly revealing more than five million emails from the private intelligence firm Strategic Forecasting (Stratfor). The Courage Foundation, an international organization dedicated to the protection of truth-tellers, published a statement on their site, noting the organization’s belief that Hammond’s solitary confinement is retaliatory punishment for filing complaints against the prison for withholding his mail. The next day, another news story surfaced concerning world-renowned political prisoner, Mumia Abu-Jamal. He had been convicted for the killing of a Philadelphia police officer in 1982 in a highly biased trial. On Tuesday October 21, Pennsylvania Governor Tom Corbett signed a bill that is said to protect victims from possible mental anguish supposedly caused by any action by an inmate or former offender. Under this new law called “Revictimization Relief Act,” prisoners in the state of Pennsylvania can now be sued for speaking out from behind bars. In a recorded phone interview with Noelle Hanrahan of Prison Radio, former Black Panther Abu-Jamal called the bill “a blatant, naked violation” of both the Constitution of the Commonwealth of Pennsylvania and of the United States that grants the right of free speech to all people. In the same interview, he said, “the press ignores prisoners, as a rule. Most of what happens in prisons are never or rarely reported in the press.” This bill furthered the censorship and reduced the ability for someone like him to speak to the public at all. Since his arrest in March 2012, Hammond was regularly cut off from contact with his friends and family and was more than once in solitary. 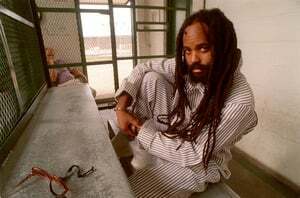 Abu-Jamal has spent the last 30 years in prison, almost all of it in solitary confinement on Pennsylvania’s death row before prosecutors agreed in 2011 to reduce the sentence. Prior to serving his sentence, Abu-Jamal was a renowned activist and journalist and has since published several books and hundreds of articles and columns from behind bars. They are both prisoners of conscience. Their commitment to justice is not the only thing that binds them together. They both have seen hidden views inside the prison industrial complex even before they entered it and have been punished for unveiling to the public what they saw. In the book Days of Destruction, Days of Revolt, journalists Joe Sacco and Chris Hedges documented their travel to forgotten corners of impoverished and extracted parts of America, which they called “sacrifice zones.” Their account started with the Western plains, where lives of Native Americans were sacrificed and their lands offered up for predatory capitalism’s promise of progress and development. Prisons are now becoming sacrifice zones offered up for the ambition of empire. They are more and more being privatized for immoral corporate profiteering. The young, the poor and people of color have become prime targets. In his book Punishment and Inequality in America, Bruce Western explores the recent explosion of mass incarceration in the U.S. He addressesthe unequal ratio of prison population between whites and blacks. Over two million prisoners are composed of disproportionate numbers of minorities and people with little education. He documented how almost 60 percent of black male high school dropouts have spent time in prison in their early thirties. Those behind bars are made invisible. They are often stripped of their constitutional rights and cut off from communication with the outside world. This is one of the places where our youth’s future is locked up for state sanctioned racism and sacrificed for capitalism’s bottomless greed. From the margins where injustice shapes the landscape of everyday life, individuals like Hammond and Abu-Jamal expose the lies of the government and hypocrisy of the criminal justice system. From the darkness inside, they cast a light on what those in power don’t want us to see. For instance, Hammond shared his personal experience as a prisoner at the Metropolitan Correctional Center during Hurricane Sandy. He described how when the storm hit, they lost power and prisoners were left behind with no hot water, heat, mail or phones. He described how the government abandoned them. … if you look inside the bars, you’re looking at millions of men and women and juveniles… But even beyond that, I mean, how free are we today, those who claim to be non-prisoners? Your computers are being read by others in government. Your letters, your phone calls are being intercepted. We live now in a national security state, where the United States is fast becoming one of the biggest open-air prisons on earth. Hammond and Abu-Jamal, a generation apart sit behind bars in this sacrifice zone. 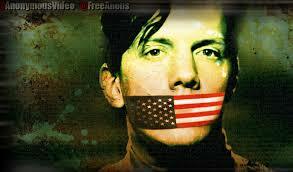 They represent those who are silenced for speaking truth to power. They have not only revealed insidious levels of surveillance and deep state racism, but have also highlighted the growing level of illegitimate governance that inflicts violence and perpetuates cruelty and misery. These sacrifice zones of the corporate state are expanding. The recent shooting of an unarmed young black man in Ferguson revealed the insidious disease of white supremacy and how easily U.S. cities can turn into a military occupied police state. With unprecedented persecution of whistle-blowers, the Obama administration continues to threaten press freedom and engage in extrajudicial killing through drone attacks for anyone who is on the receiving end of U.S. imperial foreign policy. The world is quickly becoming one big open-air prison. The NSA is inflicting mass surveillance by working hand in hand with private companies like Google and Verizon to infiltrate all forms of communication. The U.S. continues to send weapons to aid Israeli government’s assaults on Gaza against Palestine civilians. From the creation of ISIS and the crisis in Ukraine, the U.S. empire is desperately attempting to stave off the imminent end of the petrodollar monopoly game by spreading terror around the world and at home. It is time to stop the operation of a heartless corporate industrial complex that chews up innocent lives and destroys the environment in order to maximize profits at any cost. We must resist this aggression and its blatant violation of civil liberties before it devours all that is sacred to us. What is sacred should never be sacrificed. Dr. Nozomi Hayase is a former WL Central contributing writer who has been covering issues of freedom of speech, transparency and decentralized movement. Her work is featured in many publications. She can be reached at: [email protected].